• 11 July: the celebration of Agia Efimia in the harbor of Agia Efimia. Enjoy local music and food under the night sky of Kefalonia. • 11-12 August: The celebration of Wine at Valsamata village. • 12 August: the celebration of “moustalevria”(grape must) at Troiannata village. 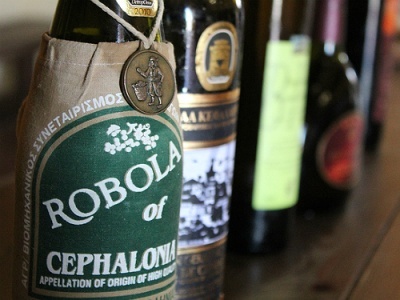 Experience a grape pressing revival and dance to the rhythms of the most famous local dances “Mermigkas”, “Divaratikos” and “Kefalonian Ballos”. • 15 August: the celebration of the Mary of Lagouvarda at Markopoulo village. The celebration lasts 9 days (6-15/08) and lots of people arrive on the eve of the festival to kneel in front of the church. 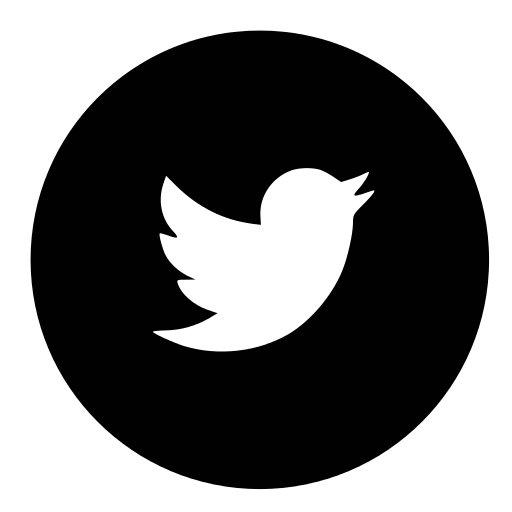 Small snakes with a black mark on their heads and tongues appear on the 6th of August. 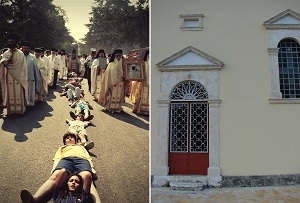 • 16 August: Saint Gerasimos (the patron Saint of Kefalonia) celebration at Omalon hill. The shrine of the Saint is open for pilgrims during its celebration day. • August – September: Harvest time celebrations. 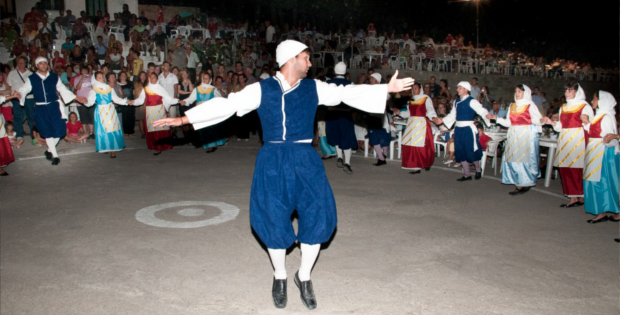 The celebration of Robola at Fragkata villagetakes place on the first weekend after St. Gerasimos celebration. During September, the celebration of grape-harvest (or the ballad of grape-harvest) at Robola Coop’s Winery offers free wine, food and music.